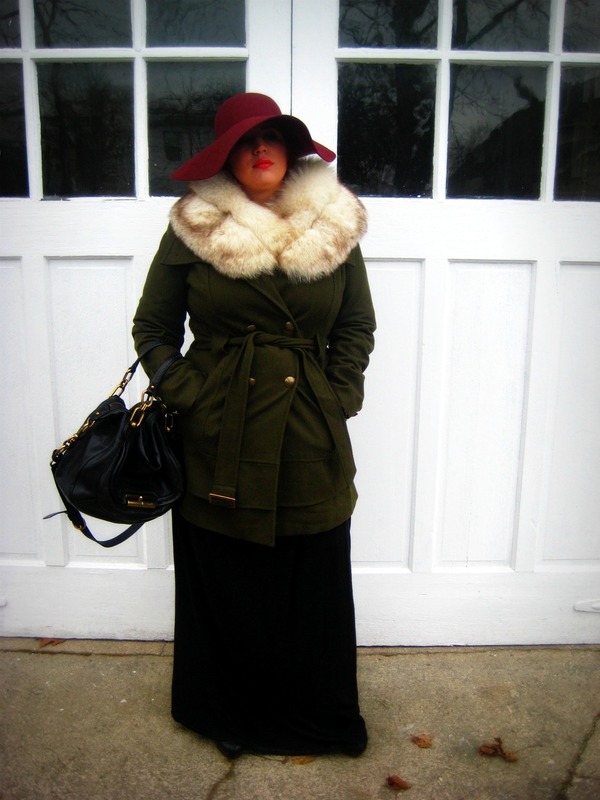 Here’s a little throwback for you… the first outfit I posted! With the first blizzard flurries of the year upon us, and temperatures dropping, it’s important to find ways to stay warm and fashionable. 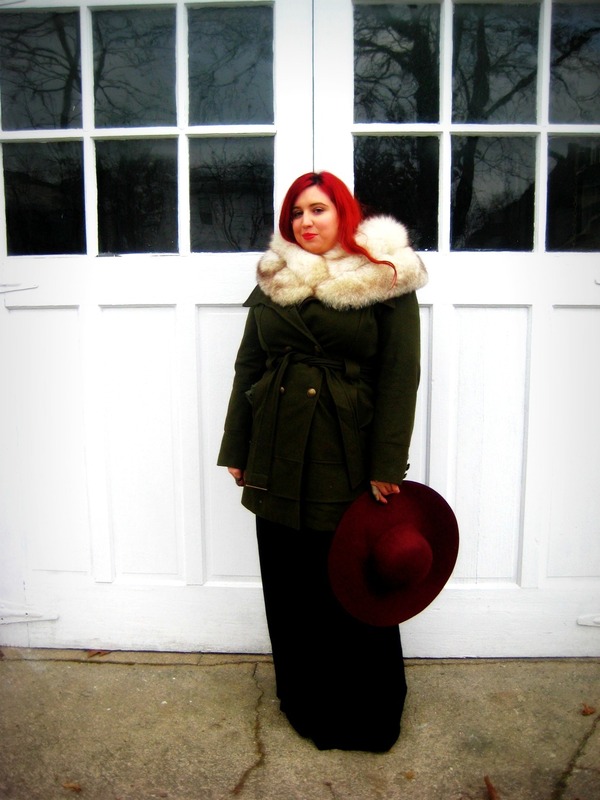 Trench coats are the most flattering style of coat for the plus-size form; having a built-in belt helps show off curves instead of increasing bulk. While I do own a traditional tan trench coat, having outerwear in unusual colors helps you stand out from the pack. 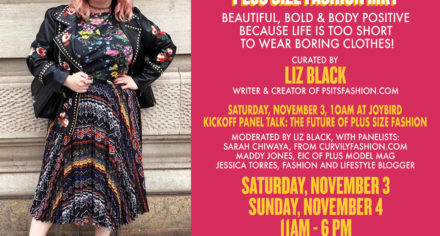 Being plus-sized is not about blending in, but about standing out. 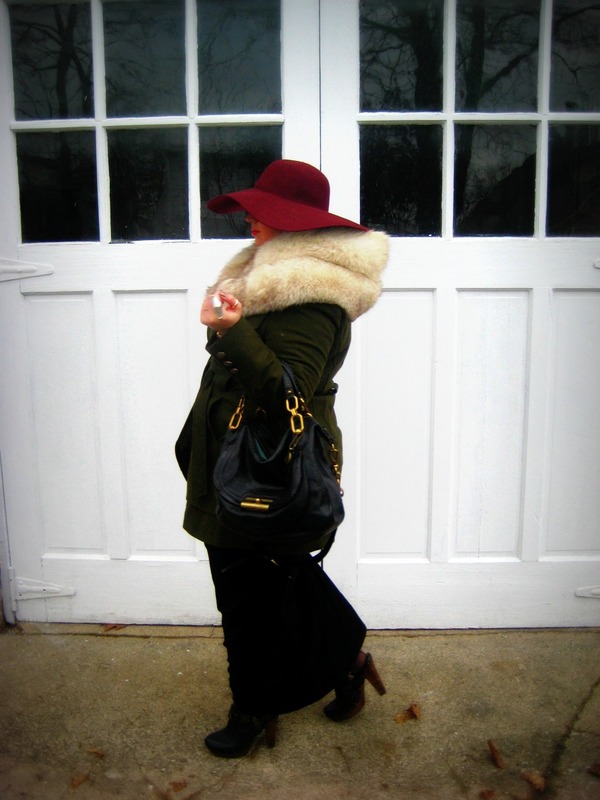 The burgundy ’70s style hat is fabulous, and it really helps contain your hair on a windy day…. but it is a bit like being a horse with blinders on. 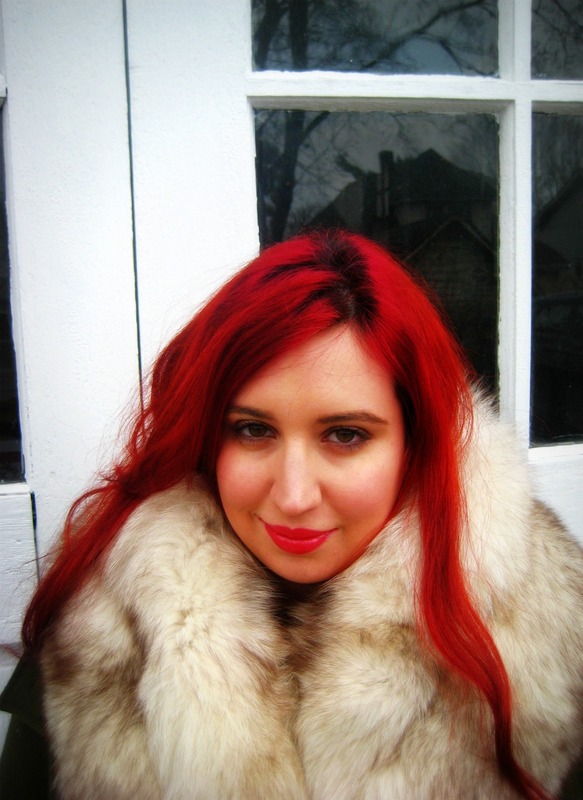 Instead of a scarf, I topped off the jacket with a vintage fur stole. It ups the glam factor of the outfit, and the fact that it’s vintage lessens my guilt a smidgen. 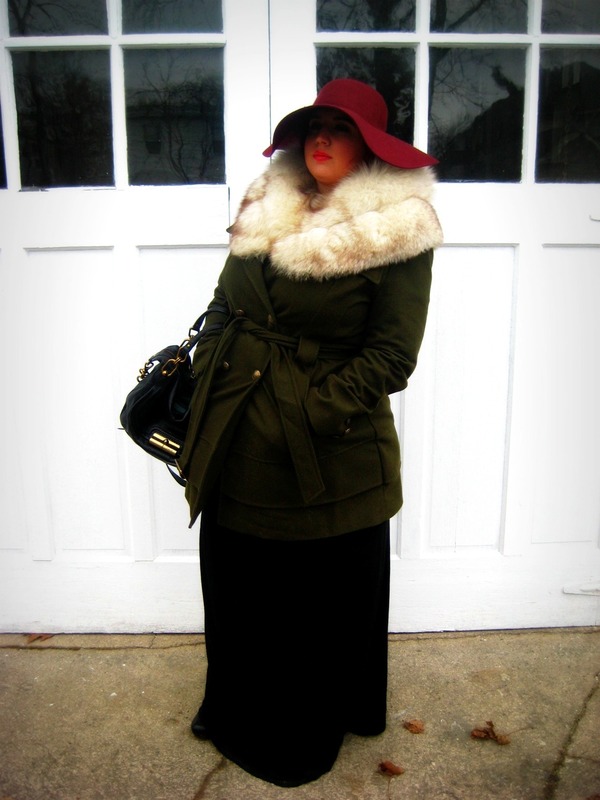 However, faux fur has come a long way and looks more real than ever, so in my own hypocritical way I encourage you to recreate this outfit with faux fur, or at least vintage. The beautiful black leather Coach bag was an amazing birthday present from fabulous friends, (I’m a lucky gal, whatcanIsay…), and with its dual straps (for cross-body & arm crook carrying), antiqued brass hardware and multiple inside and outside pockets, it’s a perfect design for any situation. I wholeheartedly recommend a dual-strap style just for the functionality alone, and you can find bags with this option in every price range. 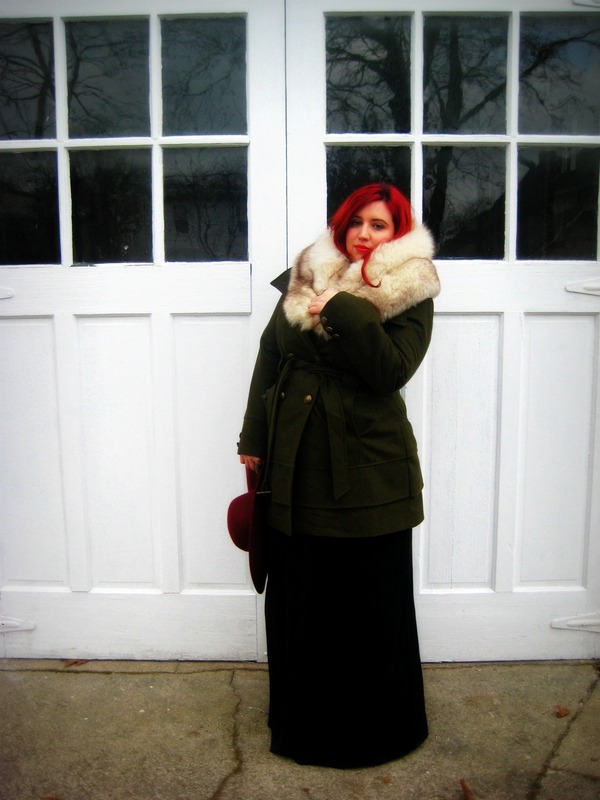 Under all the layers of outerwear I have a button-down shirt & maxi skirt (to be revealed in a future post). 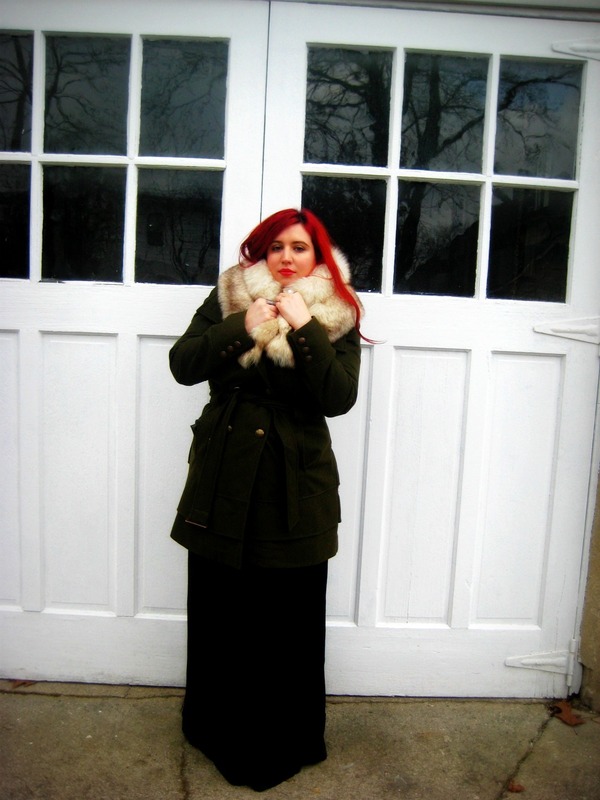 Maxi skirts are perfect for cold weather days- the extra wind resistance helps keep legs warm while allowing you to look stylish at the same time.